Doing first aid can help you save lives and allow you to provide timely care for the injuries and illnesses until the medical help arrives. Therefore, it’s essential to have Online First Aid Certification Training that covers the necessary skills to give the first aid. Medical support at the right time can save lives, but eliminate complications as well as medical costs. How does first aid certification help employees? It’s highly suggested to provide Online First Aid Certification to all employees as it helps reduce injuries while increasing safety in the workstation. Until professional medical aid arrives, most workspaces should make sure that employees receive suitable first aid treatment. They should train their employees and equip them with the right techniques and tools to deal with any emergencies. 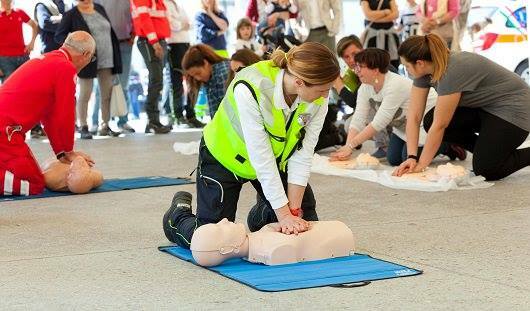 First Aid Training offers knowledge and resources to deal with crucial situations calmly. It’s not enough to have only a first aid kit at the office. Your employees require having sufficient training to make the proper use of the kit. A well-trained professional will know what exactly needs to be done at the right time when an emergency occurs. First Aid Training helps in reducing occupational hazards as it can allow you to take preventive steps with confidence and speed. 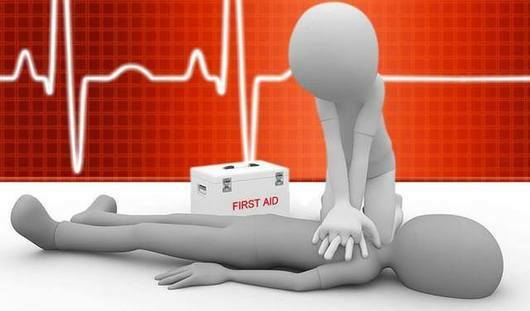 Thus, the First Aid Training Course enhances the consciousness about safety among employees. This makes them adept at identifying hazards in the workstation before the occurrence of accidents. This training course will minimize recovery time while improving productivity. Immediate response to illness or injury eliminates the effect of the damage and helps in quick recovery. Online First Aid Certification Training gives confidence to employees to handle emergencies and also teaches them CPR strategies to save lives. Aside from saving lives, First Aid Certification Training helps indirectly to build a better team. As the new skill is learned to save lives, it creates amazing bonding amongst employees. Thus, they start to be cautious about their co-workers’ well-being. First aid training course doesn’t provide theoretical knowledge, but practical skills that will help you create a safe work environment and a life-saving skill which can be used anywhere. The first aid training course offers a better opportunity to get a life-saving skill through the interactive learning process. You can sign up for an Online First Aid Certification Course to enhance your workspace safety. Are you looking for a premier safety training provider with experience to guide your workstation to deal with any emergency with the right resources and knowledge? If yes, you should look no further than the ASTI – American Safety Training Institute. Our Online First Aid Certification Course can get your employees to receive the relevant training by assessing your unique requirements. For more information, please visit our website at https://www.americansti.org/. This entry was posted in Education and Training, Safety Training and tagged First Aid, First Aid Certification, First Aid Training by Christopher. Bookmark the permalink.